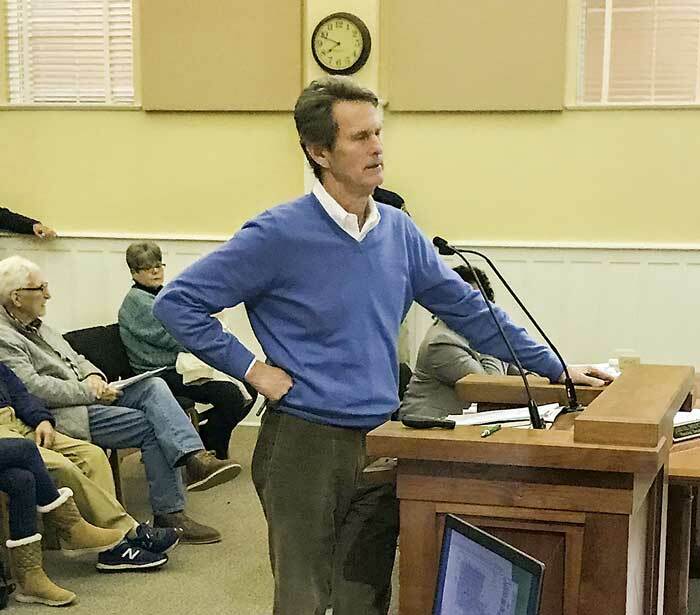 Walton Communities representative David Knight on Jan. 22 explains components of the proposed mixed-use development in downtown Fayetteville. Photo/Ben Nelms. A proposal by Walton Communities to rezone 30.52 acres near Grady Avenue and Beauregard Avenue for a mixed-use development was recommended for approval on Jan. 22 by the Fayetteville Planning and Zoning Commission. The item will be heard at the Feb. 7 meeting of the Fayetteville City Council. The vote to recommend approval was unanimous. The proposal includes property situated between the new municipal complex and park space south of Stonewall Avenue and Grady Avenue to the south, and borders a portion of Beauregard Avenue. A small parcel is situated east of Beauregard and borders Ga. Highway 85 South. Walton Communities representative David Knight said the proposal to rezone the property to C-1 (downtown commercial mixed-use) would enable the construction of 278 apartments and 17,700 sq. ft. of retail space. The proposal includes several apartment buildings and two retail/apartment buildings between the new city park space and Grady Avenue, a smaller parcel between Beauregard and Hwy. 85 South for mixed-use and an unspecified number of cottage-style, single-family homes near the intersection of Grady and Beauregard. In a separate agenda item, which also received a unanimous vote, commissioners approved a recommendation to rezone a 3-acre tract owned by Sam Burch which sits adjacent to the property proposed for the single-family homes. Knight during the discussion noted the potential for having the single-family homes more closely resembling those in the immediate neighborhoods rather than cottage-style homes most recently proposed. Knight at a previous meeting said the Sams property on Beauregard Avenue, which includes a wealth of plant life, will become a passive park. In total there were 14 people speaking in public comments, all of whom opposed the development. One of those, Billy Brundage, echoed the sentiments of the majority of the speakers, maintaining that apartments were not needed. Also cited as reasons to deny the rezoning request was what was seen as an unwarranted increase in density and concerns over future traffic congestion. Nearby resident Bob Lester said the proposal had been “deceptively handled politically,” though he did not elaborate on that comment. Lester also suggested that the issue be put up for a public vote. It was confirmed by Knight that the apartments would not be available for those with tax credits. Another item suggested by Knight that the former proposal for a street connection in the interior of the property could have a pedestrian-only bridge substituted instead. 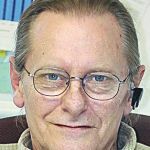 City staff, however, said keeping the street in place would be more preferable, as it would allow for a traffic grid and a flow-through vehicular traffic in the area. Commissioner Ken Collins agreed, saying a grid system is safer and more effective. Commissioners in the end voted 5-0 to recommend approval of the rezoning request, adding the recommendation for Walton Communities to provide an internal traffic study by the time the preliminary plat is submitted. The City Council will hear the proposal on Feb. 7 and 21.